How do you think scientists measure wind speed, especially destructive and robust hurricane winds? 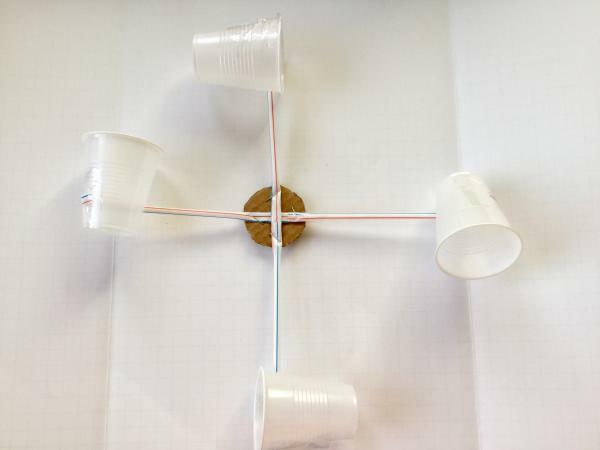 In this hurricane science project, you'll explore how to measure wind speed by creating an anemometer. If you observe the satellite images of hurricanes, you can replicate those swirls with the following simulation. Once you realize how essential the circular motion is in hurricanes, you will investigate the power of their winds. Fill the bowl three-quarters full with water. Use the spoon to gently create swirls in the water. As soon as you have circular motion in the water, add two drops of blue dye. Observe how the dye rotates. Hurricane winds are so deadly that they are categorized by their speed, and each category has a list of the potential damage the winds will cause. For example, Category 1 winds can reach 74-95 mph, and you may lose shingles, gutters or siding on a well-constructed house. Category 5 hurricanes (more than 157 mph winds) are the most dangerous and a 'high percentage of framed homes will be destroyed.' 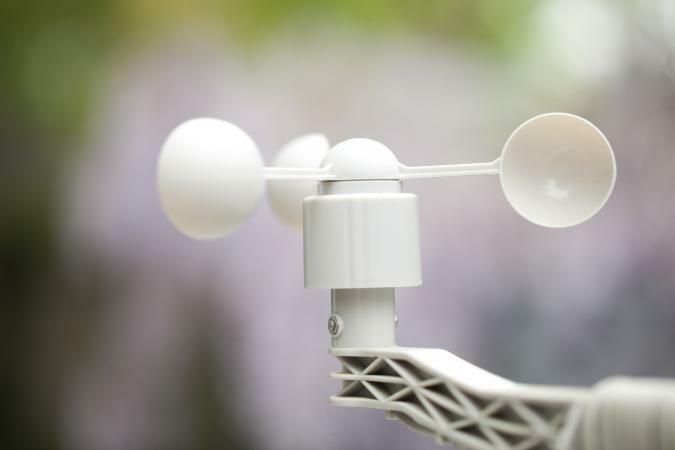 To measure these deadly wind speeds, scientists use anemometers. 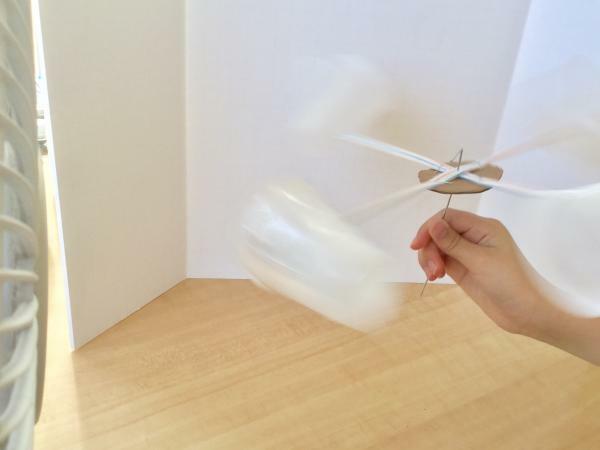 In this part of the project, you'll create an anemometer to detect how wind speeds affect the motion in hurricanes. Insert one straw inside another straw to make a longer straw and secure the middle part with packaging tape. You may have to snip just the end of one straw to insert the other. Carefully, punch two holes towards the top of two paper cups and make sure the holes align. Repeat for the two other cups but make the holes towards the bottom. Pull out about a half-inch of straw from each side of the cups. Secure each side of the straw with packaging tape. Set the cup and straw set-up aside. Using the bottom of one of the cups, trace a circle onto a piece of cardboard and punch a hole. Set aside. Grab the two cup and straw set-ups and place them in a crisscross pattern. Place it on top of the cardboard circle and staple onto the cardboard. Take a large paper clip and begin to unfold it. Insert the paper clip through the hole of the cardboard circle and gently bend it about a half inch. Using a fan, set it to the lowest level and start it. Holding the anemometer from the bottom of the paper clip, observe how the wind speed changes as you change the fan settings. When you're done, create a chart that includes the various windspeeds of your anemometer. If you want to count revolutions per minute, use colored tape to mark one cup and count how many times you see the colored cup go past you. As the anemometer goes faster, this might be impossible to do effectively. To make the most of the assignment, add some additional research to your project. Since it's not safe or feasible to actually observe a hurricane, use these resources to get a better picture of the powerful winds a hurricane produces. You can use Weather.com or a similar website or app to monitor wind speeds and determine different patterns of speed. The National Hurricane Center has a wealth of educational resources to help you research hurricanes that had the greatest impact. Check out the Hurricane Science Society. The website includes helpful powerpoint presentations that discuss everything from deadliest hurricanes to how the ocean water heats up to create larger scale winds. Emergency preparedness can mean the different between life and death in a hurricane. Ready.gov has a variety of activities and lesson plans to help you understand how to prepare. Hopefully, you had the chance to observe how quickly the cups rotate as the wind speeds increase. To help research your project do some of the follow up activities online, and no doubt, you'll get an A+.